Election Tracker LIVE: Taking potshots at the opposition’s grand alliance, LJP leader Chirag Paswan said “it has turned out to be an illusion". He also announced that all NDA allies in Bihar may name their Lok Sabha poll candidates together. He said that the Lok Janshakti Party has finalised its candidates for the six seats it will contest in Bihar, but withheld announcing their names due Goa Chief Minister Manohar Parrikar's death. NC to Contest on All 6 Seats in J&K | The National Conference Monday decided to contest all six Lok Sabha seats in the state, but has left a slim possibility of an alliance with the Congress "based on the national scenario". 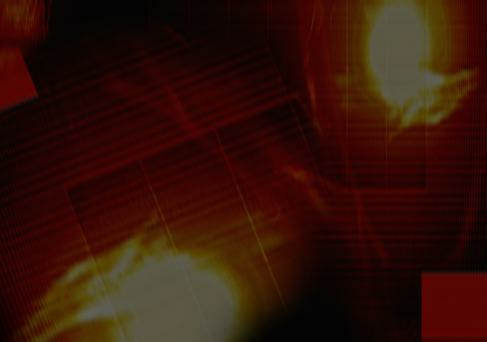 The National Conference and the Congress have been in talks for the past few days for a pre-poll alliance. The Parliamentary board of the National Conference met here this evening after which a decision to contest all the six Lok Sabha seats was taken, the party said. Firebrand BJP leader and union minister Giriraj Singh was on Monday apparently left sulking after the Nawada Lok Sabha seat, which he represents, went to NDA ally LJP. "Compulsions of seat-sharing may be there. But I wish to underscore that no other union minister from Bihar may have to give up his sitting seat," the veteran BJP leader told media persons here. 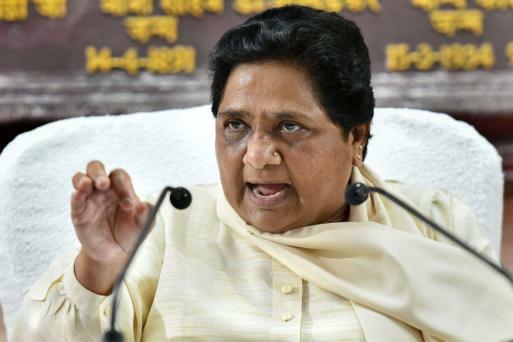 The NDA had on Sunday announced the list of candidates and their respective seats to be contested by its three constituents-- the BJP, Chief Minister Nitish Kumar's Janata Dal (United) and Ram Vilas Paswan's LJP. As per the announcement the BJP and the JD(U) will contest 17 seats each and six seats were allotted to the Lok Janshakti Party (LJP). 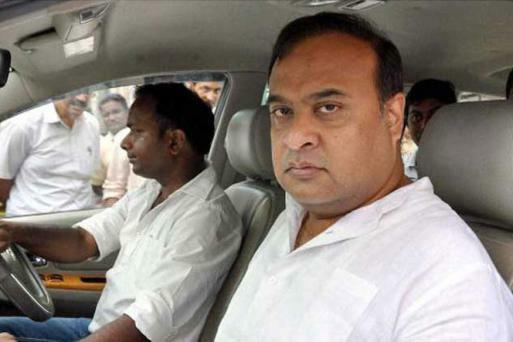 Himanta Biswa Sarma will not be contesting from the Tezpur constituency in Assam and will focus on election campaigning in the northeast, the Assam BJP leadership said after meeting PM Modi and BJP chief Amit Shah in Delhi. However, the people who have been left out of the complete draft of the National Register of Citizens will be able to vote if their names figure in the electoral rolls. KCR's daughter K Kavitha on Monday claimed that two-third of Congress MLAs in Telangana are likely to join the ruling party in the state. Since the beginning of this month, eight of the total of 19 Congress MLAs have announced their decision to join the Telangana Rashtra Samiti (TRS), led by Chief Minister K Chandrasekhar Rao. 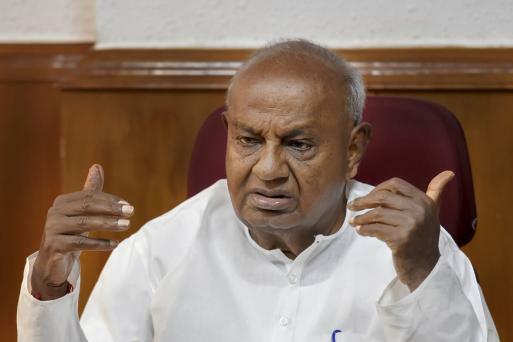 Family pressure forced JD(S) patriarch HD Deve Gowda to vacate his safe Hassan Lok Sabha seat for grandson Prajwal Revanna. Neighbouring Mandya, the strongest seat of the JD(S), has gone to another grandson, Nikhil Kumaraswamy. AIMIM President Asaduddin Owaisi on Monday filed his nomination papers for Hyderabad Lok Sabha constituency, seeking a fourth straight term in the lower house of Parliament. With the ruling Telangana Rashtra Samithi (TRS) making it clear that it would back his candidature, Owaisi seems to be on a strong wicket in this Muslim-dominated segment, a stronghold of the All India Majlis-e-Ittehadul Muslimeen. The Congress and the BJP are yet to name their candidates for this constituency, represented by Owaisi since 2004. Polls 'Picnic' for Gandhi Family, Says BJP | Every election is a "picnic" for the Gandhi family, the BJP said on Monday while seeking to downplay Congress general secretary Priyanka Gandhi Vadra's three-day Uttar Pradesh visit during which she will cover 100 km by boat in the river Ganga. "For the Gandhi family, every election is a picnic. They come, they see and resort to rhetorical speeches. After the elections are over, they head towards Switzerland or Italy," senior BJP leader and UP Deputy Chief Minister Dinesh Sharma told PTI here Monday. A day after declaring its candidate for the seventh Lok Sabha seat, the Aam Aadmi Party on Monday made it clear that there would be neither any alliance with the Congress nor a rollback of any of its candidates in Delhi. Asserting that "enough is enough", senior AAP leader Gopal Rai said these are the final seven candidates of the party and there is no question of "any roll back". The ruling AAP had earlier on March 2, announced the names of its candidates for the six Lok Sabha seats. Sajad Noorabadi has launched his own political party, but is yet to get it registered. He is currently lobbying non-BJP parties to secure a ticket from Varanasi. Cong Confident of Win in Punjab | The ruling Congress in Punjab is confident of winning all 13 Lok Sabha seats in the state as it faces a "faction-ridden" and "divided" Opposition in the hustings. Congress will be firing on all cylinders to take on the SAD-BJP alliance and AAP in the parliamentary polls beginning April 11. 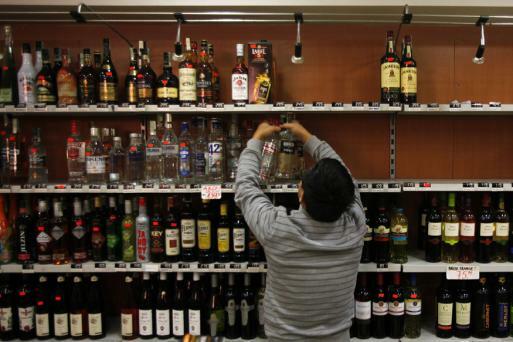 "We are seeing the opposition the way it is. Akali Dal has disintegrated and AAP has also broken into groups. BJP, within its cadres, has a lot of infighting," said Asha Kumari, Congress Punjab affairs in-charge. PM Modi Turned Whole Country Into Chowkidars: Rahul​ | Mocking the prime minister's "main bhai chowkidar' (I too am watchman) campaign, Congress chief Rahul Gandhi on Monday said Narendra Modi has turned the whole country into "chowkidars" after getting caught. Gandhi, who had been repeatedly taking the "chowkidar chor hai"(watchman is the thief) jibe at Modi to claim irregularities and favouritism in the Rafale fighter jet deal, said the prime minister never said he would make the whole country "chowkidars". DMK Denies 'Dynasty Politics' | The DMK on Monday denied dynasty politics in naming its candidates for the April 18 Lok Sabha elections in Tamil Nadu and asserted that only loyal party workers have been rewarded with a ticket. Senior party leader and Rajya Sabha MP Kanimozhi said only those who have been serving the party for long have been given a ticket to fight the elections. Kanimozhi herself is the daughter of late party chief M Karunanidhi and the DMK is now headed by her brother M K Stalin. Odisha Chief Minister and BJD president Naveen Patnaik will contest the Odisha Assembly polls from two seats, Bijepur and his home turf Hinjili. Patnaik on Monday announced the first list of BJD candidates for nine of the 21 Lok Sabha and 54 of the 147 assembly seats in the state. Elections in Hinjili and Bijepur will be held in the second phase of polling on April 18. Odisha Chief Minister and Biju Janata Dal (BJD) leader Naveen Patnaik announces candidates for 9 Parliamentary Constituencies and 54 Assembly Constituencies for upcoming elections in the state. Meanwhile, Priyanka Gandhi, too, taking a jibe at PM Modi's Main Bhi Chowkidar campaign says, "Chowkidar is not meant for the kisaan, they are meant for rich people." She is currently undertaking a Ganga Yatra commencing from Prayagraj and culiminating at Varanasi. Chief minister of Odisha and Biju Janta Dal chief Naveen Patnaik will contest the upcoming Odisha Assembly elections from Hinjilei and Bijeipur Assembly constituencies. Launching a scathing attack on Narendra Modi by targetting him for corruption in the light of his recent Chowkidar Campaign, Gandhi continues to say, "PM Modi pushes money inside Anil Ambani's pockets. When he was campaigning in 2014, he said 'mein chowkidaar hun' and today when his theft has been caught red-handed he says that the whole country is a chowkidar." Rahul Gandhi accuses prime minister Narendra Modi of spreading hatred. "No matter where you look, PM Modi seems to be spewing hatred, he is on a mission to destroy the constitution," he says, adding a touch of assurance that the Congress "will not let Modi succeed". Sounding the poll bugle in Karnataka, he is currently addressing a rally in the state's Kulaburagi, from where Maillikarjun Kharge will be contesting. Rahul Gandhi is currently addressing a public rally in Kalaburagi in Karnataka for the Lok Sabha elections. Priyanka Gandhi who embarked on a three-day tour of the state from Prayagraj, while addressing people at Dumduma Ghat said that for the development of the fishermen community she will ensure a separate ministry for fishermen of the country. Answering questions on the farmers' distresss, the UP Gen Sec added, “We are not here to make false promises. We do what we promise, like we waived off loan of farmers in all the states where we formed government recently." Congress chief Rahul Gandhi, who is in Karnataka as a part of election campaigning, observes two-minute silence at party's public rally in Kalaburagi. Priyanka Urges Voters to Think Before Voting | Congress Gen Sec Priyanka Gandhi, in her first stop at the Dumduma ghat of the Ganga Yatra, urges voters at Prayagraj to "think before casting their vote." "PM Modi only favours the industrialists and so think before voting, use your vote correctly and in a way that your vote changes things in the country," she says. Priyanka, reacting to Mayawati's outburst and recent snub to Congress over the 7-seat offer, said, "There is no need to be angry. The common aim is to defeat the BJP." DMDK releases list of candidiates for Lok Sabha elections | Desiya Murpokku Dravida Kazhagam (DMDK) announces its list of candidates for the Lok Sabha elections. Vijaykanth's brother-in-law and DMDK deputy general secretary LK Sudeesh will contest from Kallakuruchi constituency. Azhagarsamy will contest polls from Virudhunagar, LK Sudhish from Kallakurichi & Ilankovan from Tiruchi & Mohan Raj from Azhagapuram. Will Carry Forward MH Ambareesh's Legacy | Sumalatha Ambareesh, the wife of late Congress leader MH Ambareesh says she will contest from Mandya as an independent candidate for the Lok Sabha elections. "Everybody I have met in Mandya has told me the faith they had in him (MH Ambareesh),they will transfer that to me. That way we can keep memory of him alive. The decision I have taken if it hurts anyone,I apologise. I am taking this step to continue his legacy," she says. 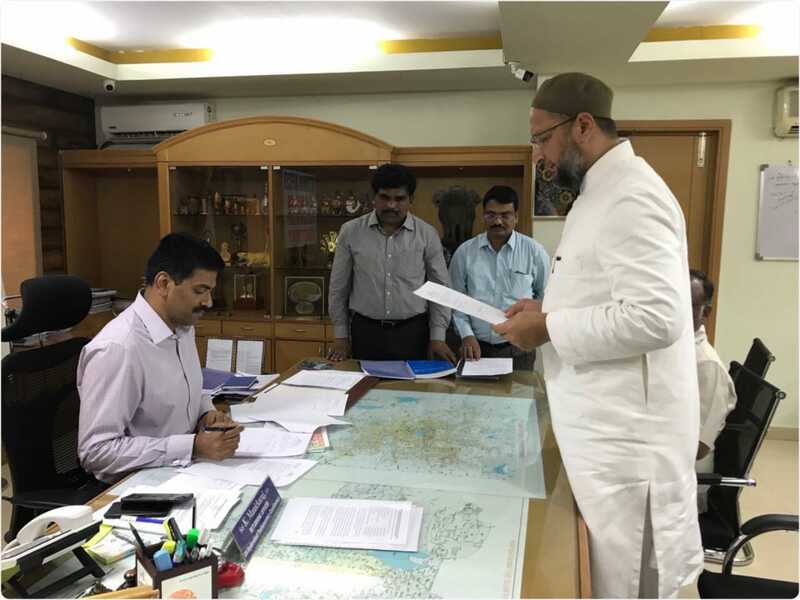 All India Majlis-e-Ittehadul Muslimeen (AMIM) chief Asauddin Owaisi files his nomination from the parliamentary constituency of Hyderabad ahead of the Lok Sabha elections. Asserting that a joint announcement by all the National Democratic Alliance parties - the BJP, Janata Dal (United) and the LJP - on the seats they will fight in alliance have sent out a positive message, Paswan said they may also name their candidates together, but added that a final call on this is yet to be taken. While Paswan is set to contest from Jamui, the seat he represents in the Lok Sabha, Ram Chandra Paswan will be fielded from Samastipur, which he had won in 2014. With the party supremo and Union minister Ram Vilas Paswan not contesting the Lok Sabha election this time, his brother Pashupati Kumar Paras may contest from his pocket borough of Hajipur. Party sources said its MP from Munger, Veena Devi, is likely to be fielded from Nawada and Bina Singh, whose husband Dinesh Singh is a JD(U) MLC, may contest from Vaishali. Asked about Union minister and BJP leader Giriraj Singh's "unhappiness" over being denied renomination from the Nawada seat, from where he had won in 2014, Paswan said he will speak to Singh to resolve the matter. Singh is likely to be fielded from Begusarai as Nawada was allocated to the LJP. Chirag Paswan said the ruling alliance has divided seats among its partners amicably, but the grand alliance of opposition parties has not been able to decide on the number of seats each of them will contest. "The so-called grand alliance has turned out to be an illusion," he said, asserting that the NDA under Prime Minister Narendra Modi's leadership will win more than 350 seats in the 543-member Lok Sabha. The Bharatiya Janata Party, JD(U) and the LJP have announced they will fight 17, 17 and six seats respectively in Bihar. They have also divided among themselves the seats each of them will contest.